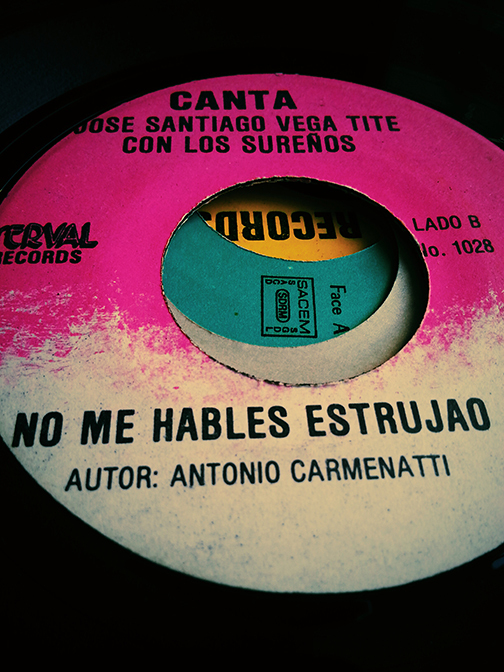 Here we have 7″ single by José Santiago Vega (Tite) con Los Sureños. Like many artists who played traditional folkloric music his name turns up very little on the internet. For these types of artist, specifically from Puerto Rico who didn’t play Salsa there wasn’t much commercial success for them. But I’m very grateful that these artists keep these musical traditions alive. In this case Plena — a form of music over 100 years old and like other traditional caribbean music played the role of caring news from town to town. 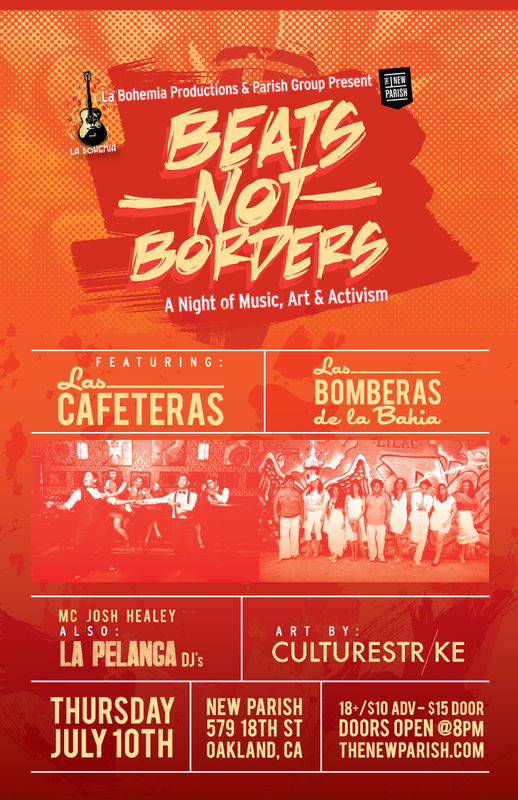 The music is lead by the Pandero (a tambourine-like percussion instrument) accompanied by a guiro, a conga drum, a cuarto guitar and sometimes like on this record an accordion. For me the accordion adds a whole other dimension that brings out the melody to it’s fullness. 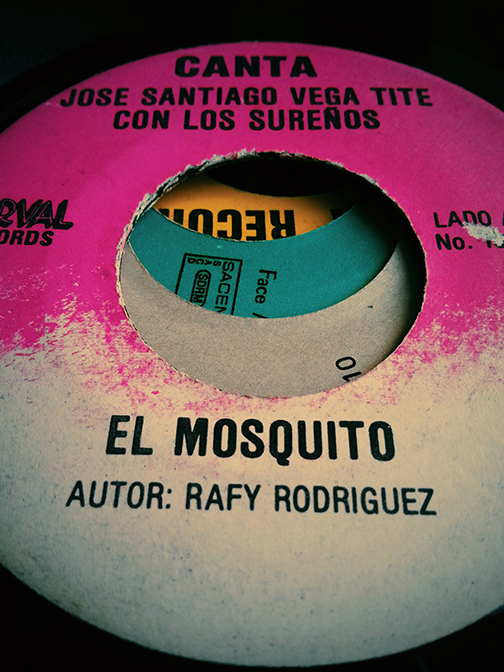 On Side A we have the song El Mosquito which features someone ripping it up on the accordion. Maybe this is just me, but I often have thought that if someone added electric guitars and a drum kit to Plena and put more political lyrics to the same melodies you’d have incredible punk music. Nonetheless, I love traditional Plena and will do my part to continue to give these artists the shine they deserve. It’s been a minute since we last posted records here, ok a few months. But that hasn’t meant we’ve stopped collecting with the purpose of sharing. We are on a mission to spread as much amazing music from around the world as possible—soon we will be making our debut in iTunes so stay tuned for that. Meanwhile I have an 7 inch EP record by Sorry Bamba. I’m just now learning about his musical legacy and have quickly taken to this Malian trumpeter. Bamba came up with his band Group Goumbé right as Mali won it’s independence from France (June 1960) and during a time when there was a big initiative by the new government to support musicians. Here’s a great article about Bamba from the UK Guardian from a few years ago. This particular record is from his earlier years (1960s) on the Ivorian label Djima Records. In much of Central and West Africa, Cuban/Latin music was the rage during the 60s and as was often the case young musicians took it and blended it with their own traditions and available instruments, usually just electric guitars and horns. If you appreciate the rawness of simple recordings and the excitement of this era of African music I think you’ll really enjoy this. First up on side A, Djelimango, a lovely Cuban Seis. 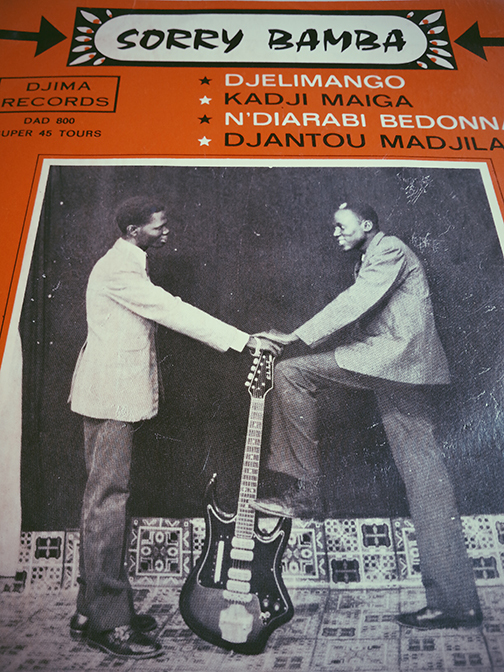 Followed by the song, Kadji Maiga which is labeled as a genre I’ve never heard of — Boucher. On the flip side is the song N’Diaarabi Bedonna, a fun Boogaloo. The last song is a Pachanga that I’m now realizing I forgot to record. I’ll try to add this later.